Under the new rules, the BV difference between 4Lz and 4T isn't just the BV points, but also the inherent GOE scaling potential (which got widened by the +5 system). In other words, on paper, Yuzu's FS BV might only be 3 point less than Nathan, but under an all clean situation, due to 4Lz scales higher than 4T, the inherent BV difference is closer to 5 points. Add the fact the judges are clearly adding brownie PCS points for successful 4Lz, the difference is even greater. I think this is what Yuzu is referring to, that the inherent BV difference has been enlarged through GOE/PCS under the new system. I don't think Hanyu didn't realise he had to raise his BV to win until Worlds. That is why he added the 4Lz in the 17/18 season and was planning to add the 4A in 18/19 - he was never going to let Nathan run away with BV advantages but injury totally got in the way. Nathan is not the impetus for him to keep improving (as some NA fans like to claim), Yuzu has always been upping his technical arsenal every year long before Chen came. 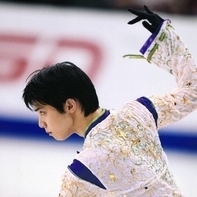 This season he was the only top skater to actually introduce something new - the 4T3A. I do think he held out a small hope that if he goes clean, his PCS will make it (since given his injuries, it wasn't possible to add BV prior to Worlds) - only to get the shock of how much the judges was willing to raise Nathan's PCS out of nowhere. Him participating in GPF wouldn't make a difference to BV or assisted in understanding the judging more because Nathan was a mess at GPF (he scored much lower than Hanyu's usual GPF scores & GP Helsinki). Honestly, if Yuzu hadn't been injured, barring some weird mental breakdown, he would have won GPF based on how other men fared. Him participating and winning though could have at least slowed down the PCS growth for Chen.